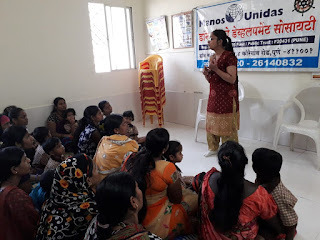 26-March-2019, Koregaon Park (Pune): The Don Bosco Development Society, Koregaon Park, Pune organized a refresher training on ‘Business Entrepreneurship’ for Self-Help Group women from Tadiwal Road slum in Pune. 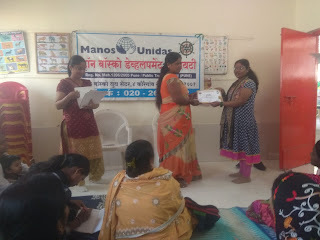 21 SHG women participated in this training held under the aegis of ‘Women Empowerment Project’ supported by Manos Unidas, Spain. · Sales, Purchase and marketing. 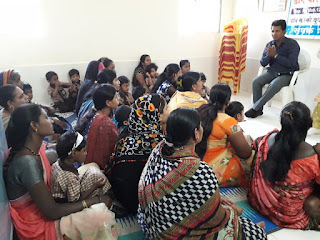 · Product brand building and quality control. · Customer feedback about product. 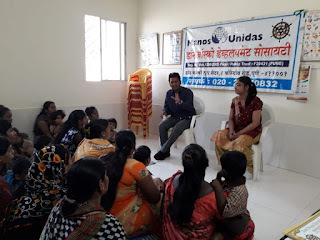 It was an interactive session where the participants asked questions which were answered by the resource person. 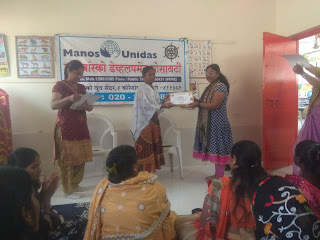 After the event certificates were distributed. 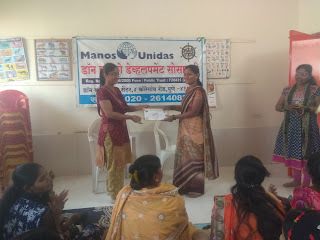 Program ended with the vote of thanks by Mrs. Leena Gaikwad (Staff- DBDS).